International Fund for Saving the Aral Sea (IFAS) was established in 1992 on the initiative of the Heads of the Central Asian States for the purpose of improving the social and economic, ecological situation in the basin of the Aral Sea. After obtaining the Independence, the countries of the Central Asia created a new system for distribution of the water resources. The Ministers of water resources of the Independent state signed the Agreement on September 12, 1992, in which, the parties declared that joint management of the water resources will be carried out in accordance with the principles of equality and mutual benefit. Within period from 1992 up to 1994, these interstate organizations were established with the assistance of the donors: the International Fund to Save the Aral Sea (IFAS) with headquarters situated in Almaty city and Interstate Council for the Aral Sea Basin (ICAB) with the Executive committee under the chairmanship of the Minister of Water economy of Turkmenistan, having its headquarters in Tashkent city. Main role of the IFAS was to raising and accumulating funds and the ICAB was targeted at preparation and implementation of the Aral Sea Basin Program (ASBP). The meeting of the Heads of the IFAS founder-states in 1997 resulted in making fundamental decisions, which are connected with the restructuring and merging of the IFAS and ICAB. Important decisions were taken regarding the chairmanship in the Executive Committee, its rotation, the whereabouts of the Executive committee and the amount of the payment to the Fund. The major objectives of the IFAS were determined: development of the draft proposals, which are aimed at working out a mutually acceptable mechanism for making complex use of the water resources and environmental protection, preservation of the biological fund of the Aral Sea region, decreasing the harmful impact of the ecological crisis on the environment and the main thing is to eliminate the impact on the people living in the region. 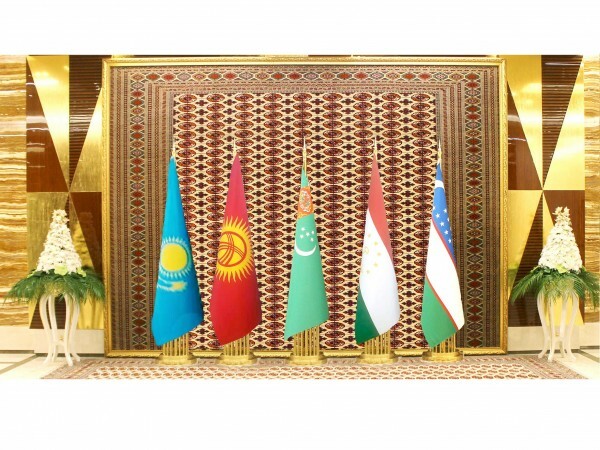 In April 1999, Ashgabat hosted the meeting of the Heads of the Central Asian States, at which, the Provision on IFAS and the Agreement on the status of the IFAS was adopted and Ashgabat Declaration was signed. There are commissions operating within IFAS – The Interstate Commission for Water Coordination of Central Asia (ICWC) and Interstate Commission on Sustainable Development (ICSD) of Central Asian countries. The Interstate Commission for Water Coordination of Central Asia (ICWC) was established by the countries of the Central Asia in accordance with the Agreement on cooperation in the field of joint water management and protection of the waters of the interstate water sources, signed on behalf of the sovereign states on the 18th of February, 1992 in Almaty city. The main purpose of ICWC creation is elaboration and approval of the limits of the annual water’s usage for each state according to the main water sources, modes of operation at the large water reservoirs and management of the water distribution under the conditions of the actual water content and the emerging situation in terms of water economy, also working out and implementation of the ecological programs related to the drying of the Aral Sea and depletion of the water resources, and setting up annual volumes of water supply to the river deltas and Aral Sea. Interstate Commission on Sustainable Development (ICSD) was established as per the decision of the Interstate Council for the Aral Sea Basin (ICAB) (dated 19th July 1994, Ashgabat). 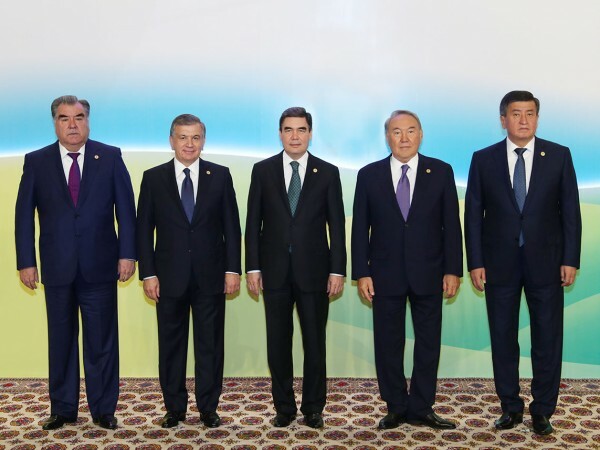 At the Commission was entrusted with the mission of coordination and management of the regional cooperation in the field of environmental protection and sustainable development of the Central Asian states. The main goal of the Interstate Commission on Sustainable Development (ICSD) is elaboration of the regional sustainable development strategy, management of the regional programs, action plans and project management in the field of environment and sustainable development, as well as coordination of the steps in fulfilling the obligations by the Central Asian states as concerns the implementation of the nature protection conventions that have trans-border aspect. Main working body of IFAS – the Executive committee was situated on a rotationbasis in Almaty (1993-1997), in Tashkent (1997-1999), in Ashgabat (1999-2002), in Dushanbe (2002-2008), in Almaty (2009-2012) and in Tashkent (2012-2016). 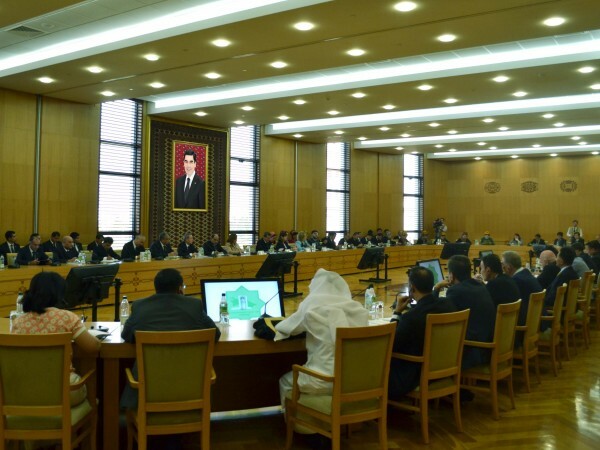 Since 2017 up to August 2019, the Executive Committee of IFAS is situated in Ashgabat.